Windows 10 is now the most popular version of Windows. 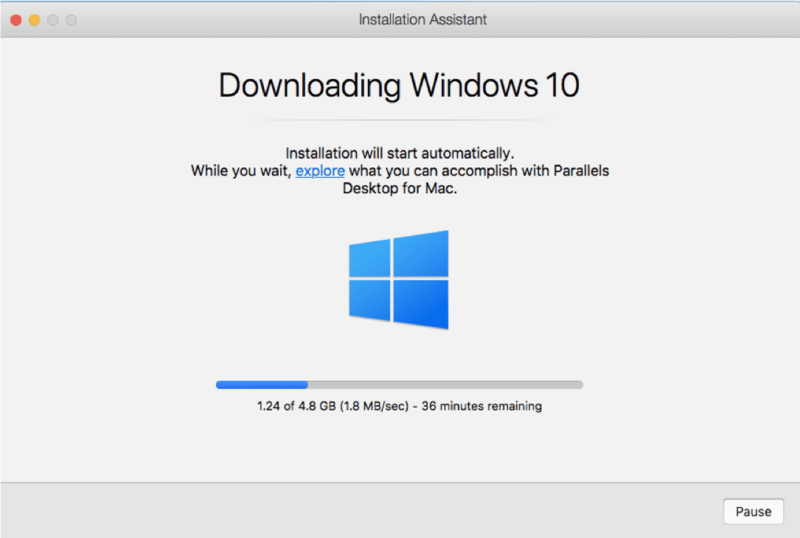 Installing it on Parallels Desktop® for Mac is easy to do—and does not require you to purchase Windows 10 beforehand. Scenario 1: You have just installed Parallels Desktop 14 on your Mac®. Scenario 2: You have Parallels Desktop on your Mac, and you want to add a Windows 10 virtual machine (VM). Scenario 3: You want to upgrade an existing Windows VM to Windows 10. 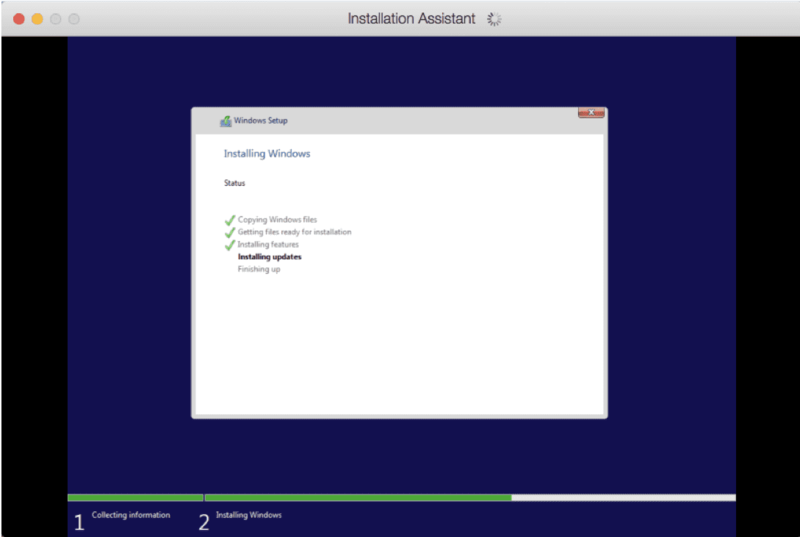 Scenario 4: You want to move Windows 10 from a physical PC into a Parallels Desktop VM. Scenario 1: You have just installed Parallels Desktop 14 on your Mac. Once you click “Install Windows,” there is basically nothing else for you to do. The Windows 10 installation files will begin downloading (Figure 2). Note: If you click on “Skip” instead, you will be directed to the Installation Assitant where you can purchase Windows 10 (see Figure 8). 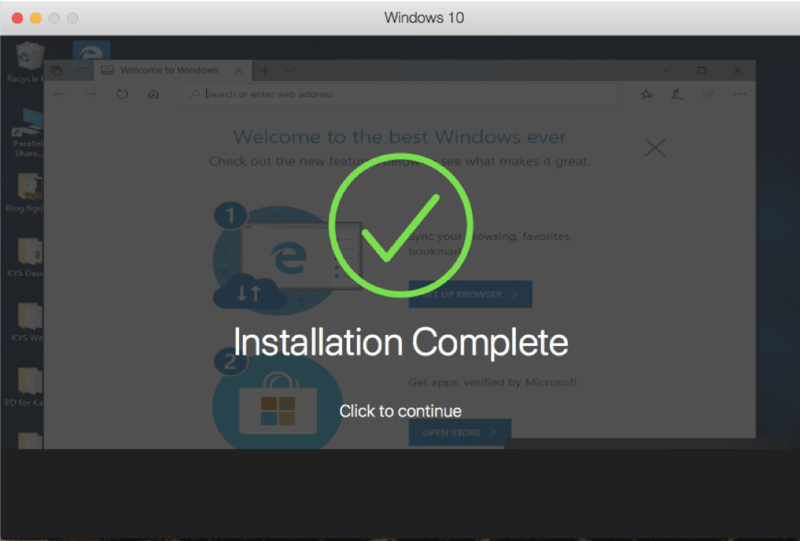 Once the download finishes, the installation of Windows 10 into a new VM in Parallels Desktop will begin (Figure 3). You will be notified when it completes (Figure 4). How long this process takes depends on the speed of your Internet connection and Mac. For me, at home and on a new MacBook Air®, this took about one hour and 40 minutes. While Windows 10 is installing, you’ll see dialogs about the installation of Parallels® Toolbox, a separate Parallels product that’s bundled with Parallels Desktop (Figure 5). Parallels Toolbox gives you 30+ single-purpose tools for common tasks. I encourage you to install Parallels Toolbox—I think you’ll find the tools very useful. 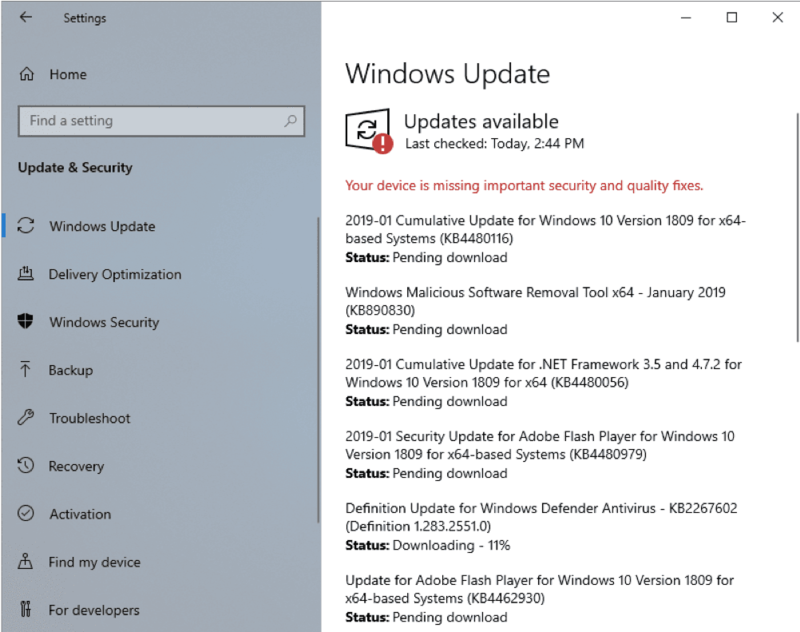 After Windows 10 is installed, you should get all of the available updates, and there probably will be several of them (Figure 6). This may take a while but is very important. At this point, you have a working installation of Windows 10 in a Parallels Desktop VM. You have not yet purchased Windows from Microsoft. A few features will be disabled until you do so. 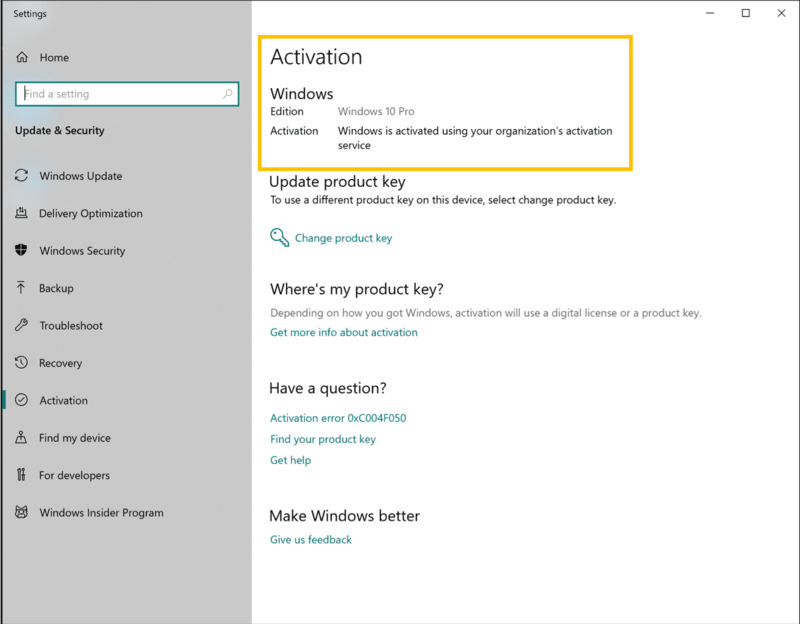 You can purchase and activate Windows from within your Windows VM, and the entire process takes only a few minutes (Figure 7). 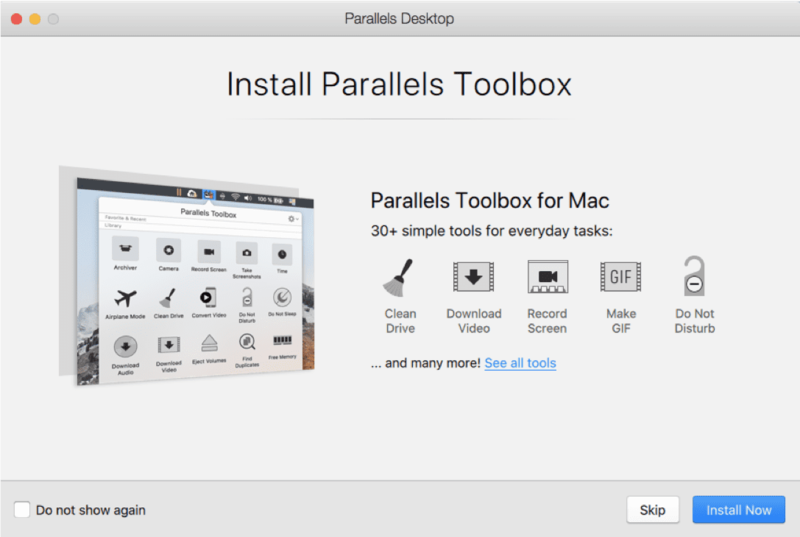 Scenario 2: You have Parallels Desktop on your Mac, and you want to add a Windows 10 VM. 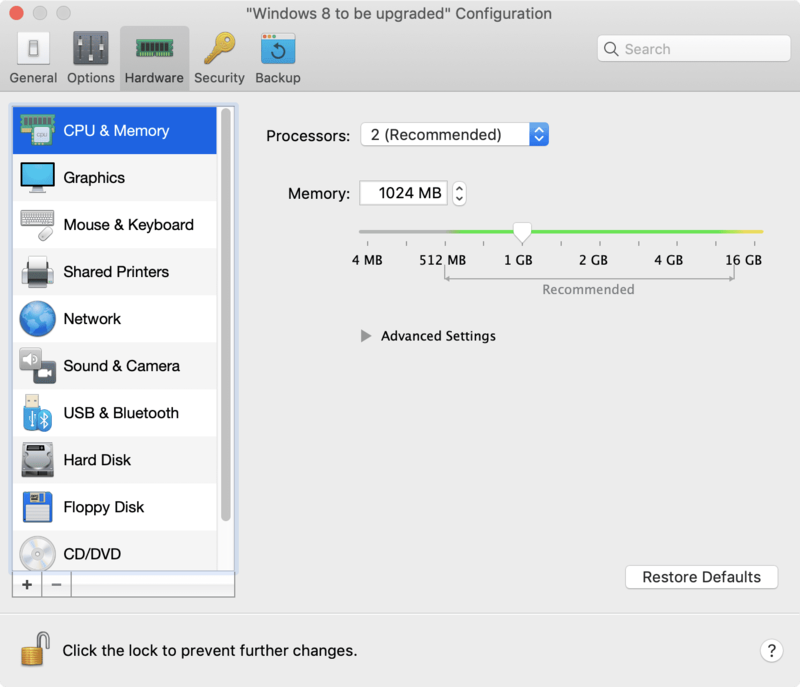 Adding Windows 10 as an additional VM in Parallels Desktop is also easy. To start the process, either choose “New…” in the File menu of Parallels Desktop, or click on the “+” sign in the top right corner of the Control Center window. Assuming that you don’t have a Windows 10 installation DVD laying around, click on the “Get Windows 10 from Microsoft” button (Figure 8). 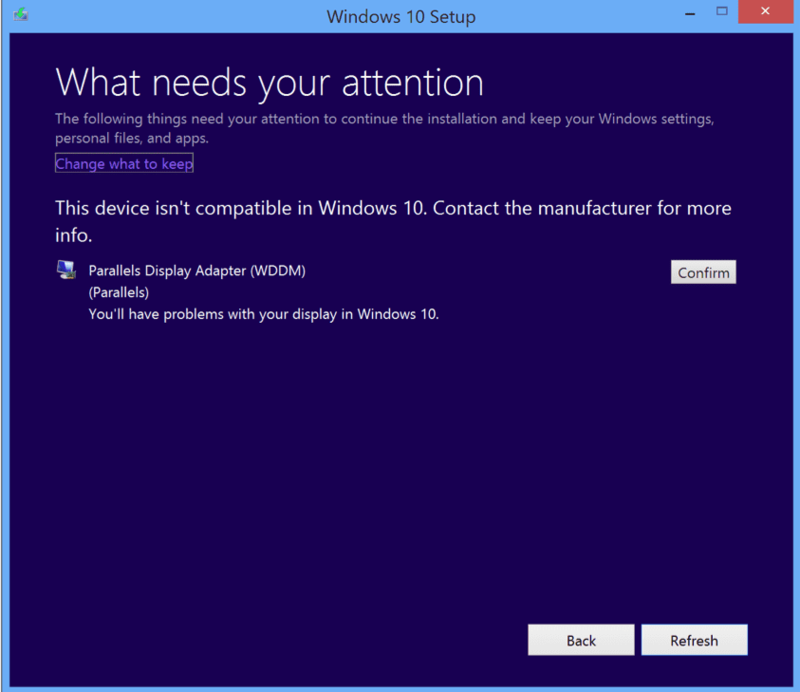 Then choose to purchase Windows 10 Home or Windows 10 Pro in the next screen. 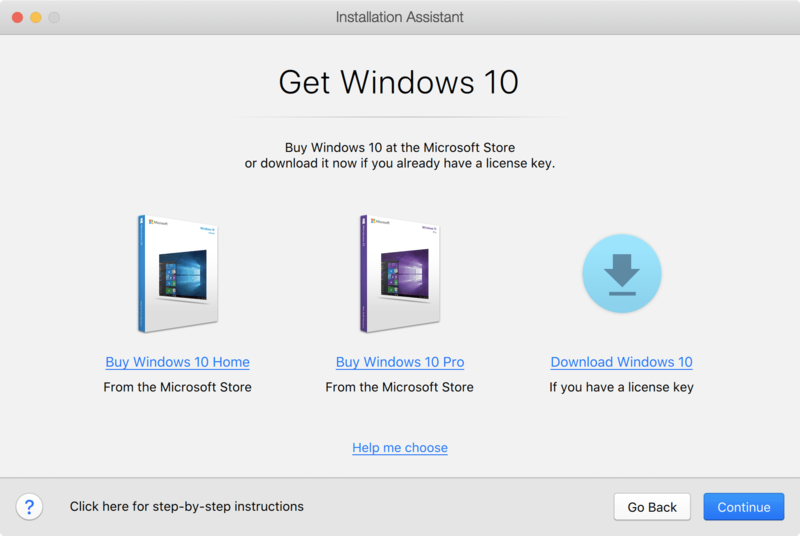 If you want to install Windows 10 without making a purchase yet, choose to download it (Figure 9). Whichever path you choose, you will end up with a Windows 10 installation ISO file and a Windows 10 product key. After that, everything proceeds in the same manner as scenario 1. (See the previous Figure 2 as an example.) Don’t forget to install Parallels Toolbox and all the available Windows 10 updates! 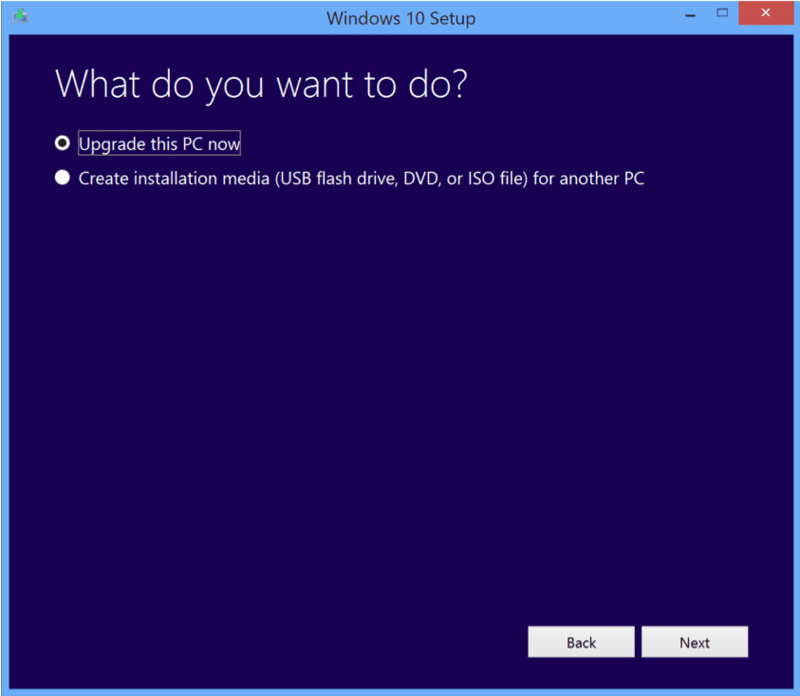 Use these steps if you have a Windows 7 or 8 VM that you would like to upgrade to Windows 10. Upgrading an operating system is a task best done with lots of RAM. If possible, upgrade the amount of memory allocated to the VM to 4 GB, using the memory pane of the configuration dialog for the VM you will be upgrading. The VM cannot be running when you do this. Be sure that the RAM allocation slider remains in the green area on the memory scale, not the yellow or red areas (Figure 10). Two years ago, upgrading Windows 7 or 8 to Windows 10 was free, but that is no longer the case. You now need to pay for this upgrade—at least, this is what everyone thought. 1. Make sure you’re starting with an activated installation of Windows. 2. Download the Media Creation tool from the Download Windows 10 page. You must do this inside Windows, not from a Mac browser. 3. Run the Media Creation tool and choose “Upgrade this PC now” (Figure 11). 5. This issue will be taken care of when Parallels Tools reinstalls after the upgrade to Windows 10. 6. The Windows 10 upgrade files will be downloaded, and the install will proceed. Parallels Tools will automatically reinstall. 7. When finished, you will have an activated installation of Windows 10 (Figure 13). Don’t forget to reset the memory allocation in the upgraded VM. The increased allocation was only needed for the OS installation process. 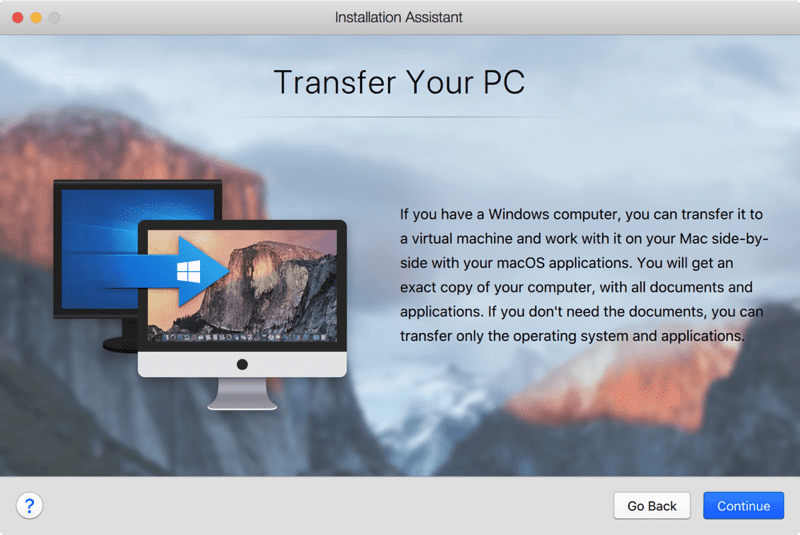 In this last scenario, you start out with the Installation Assistant dialog (see previous Figure 8) but choose “Transfer Windows from a PC.” You will then see the Transfer Windows dialog shown in Figure 14. This process will copy everything from a physical PC to a Parallels Desktop VM: apps, data files, and Windows itself. The physical PC will not be modified. The most common way to transfer is via the network. The amount of time this will take depends on how much information is on the PC and how fast your network is. There may be several Windows PCs on your network, so you need to indicate which PC you want to migrate into a VM. Do this by installing the Parallels Transfer Agent on the PC to be migrated. 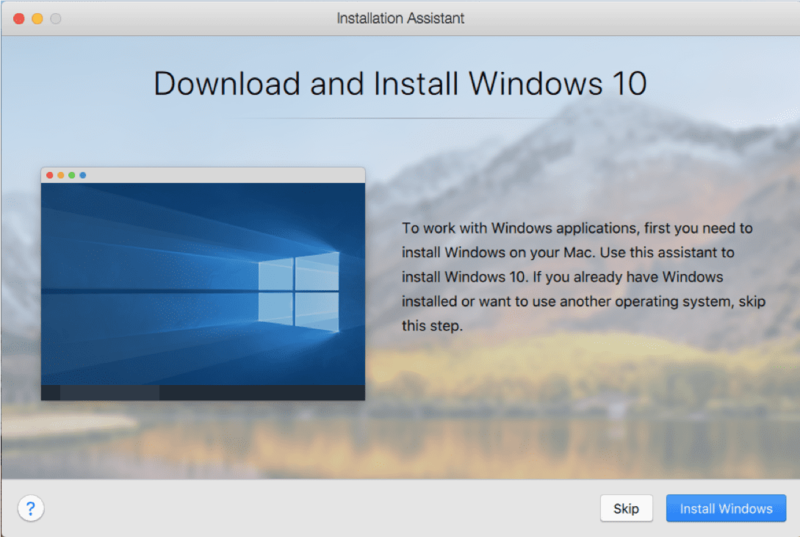 I hope you’ve seen how easy it is to install Windows 10 on Parallels Desktop. Feel free to download a free full-featured trial of Parallels Desktop and install Windows 10 like explained in scenario 1 right away at no extra cost. Let us know in the comments below, on Twitter or Facebook which way of installing Windows 10 on your Mac worked best for you.